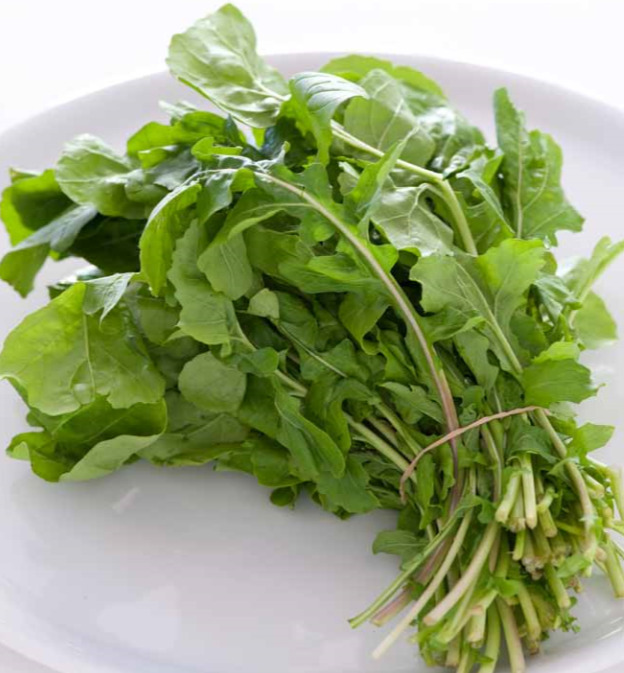 Home / health guide / IT IS IMPORTANT TO CONSUME RAW GREENS WITH MEALS! When we eat acid foods we need alkaline foods to counteract or neutralize those acids. Poor health begins when the cells are saturated with acid that disturbs the mineral balance, this is why every meal which end point of digestion is acid should be included with raw vegetables. Cooked vegetables are acid and harmful, many leafy greens contain oxalic acid that is released when cooked for example. If you are not familiar what I am referring to as acid it is the crab cake on the plate. Tasty I agree, however, useless to the body. If we are combining foods this way we are still on the transitional diet phase. This can only be a temporary fix, the same vegetable that neutralizes acids also has its own poisons, cooked or not. For example, if cabbage were used, cabbage also contains the poison arsenic. Two food items would not appease the average eater and it would mostly be viewed as an appetizer and not a meal, but when little food is eaten the results will show with better health and increased longevity. Simplicity in the diet is an important health rule. A great way to start incorporating more raw foods into your diet is to make the salad the main dish during meals. Eating foods rich in fiber is associated with a lower risk of developing heart ailments. Soluble fibers found in vegetables such as gum, pectin, and psyllium dissolve in water, forming a gel-like matrix. This solution absorbs bile acids and cholesterol and eliminates them from your body. Since bile acids are formed from cholesterol, your body tries to replenish them by using the cholesterol available in the bloodstream. According to a research study by Maastricht University scientists, published in May 2008 in "Psychology & Behavior," water-soluble fibers lower the amount of low-density lipoprotein or “bad cholesterol” in the bloodstream. This cholesterol sticks to the walls of blood vessels and makes them narrow, leading to cardiovascular disease. Another study by the University of Pennsylvania School of Medicine, published in September 2005 in "The British Journal of Nutrition," also found out that insoluble fiber lowers cholesterol intake. A joint study carried by scientists from the University of California at Los Angeles and Louisiana State University found raw vegetables contain higher amounts of antioxidants. These antioxidants include vitamins C and E, folic acid, lycopene, alpha-carotene, and beta-carotene. Vitamins C and E neutralize free radicals and protect your body cells. Lycopene -- a naturally-occurring pigment in colored vegetables such as tomatoes and apricots -- boosts your immune system and also lowers the risk of cardiovascular disease. Folic acid is necessary for the formation of red blood-cells and proper functioning of the brain and nervous system. Beta-carotene, found in brightly colored vegetables, protects the skin from the sun’s harmful ultraviolet rays. It also slows down the aging process and reduces the risk of diseases associated with old age. Fiber rich foods like vegetables, fruits, seeds, and beans are associated with a number of health benefits including weight control, cardiovascular health, disease fighting phytochemicals, and digestive health among much more. Vegetables contain low amounts of fats and calories, so incorporating more raw foods in your diet can help aid weight loss and help detoxify our bodies. However, our caloric needs cannot be met through fruits and vegetables alone. To make sure you’re maintaining a healthy weight on a raw foods diet, it’s important to consume a lot of nuts, seeds, and avocado. They are also a good source of dietary fiber. The low fat and calorie content of vegetables makes them a perfect substitute for foods with higher calorie content, such as carbohydrates and proteins. To shed excess weight, the Centers for Disease Control and Prevention recommends substituting high-calorie foods such as eggs with raw vegetables. Owing to their high fiber content, raw vegetables leave you feeling full for longer and hence reduce food cravings. Certain vitamins in foods such as vitamin C and folate are destroyed by heat. Research shows that cooking certain foods like broccoli destroys its cancer-fighting properties. Raw foods contain a high water content which helps to cool down your body and keep you hydrated. Snack on fresh fruits and vegetables like watermelon, cucumbers, pears, and leafy greens to stay hydrated and energized during the hot summer months. Since they are closer to their live natural states, raw foods can provide us with a higher quality of energy to help us feel more alive and ready to take on the day. Eating raw cruciferous vegetables such as broccoli lowers the risk of developing cancer. A study published in February 2008 in “Food and Chemical Toxicology” by scientists at the University of Essex indicated that cooking lowers the volume of anticancer compounds known as isothiocyanates and glucosinolates in the brassica family of vegetables.